Sungrow got their start in 1997, and since then have spread their wings around the world. While based in China they have become one of the big firms in solar PV. World wide they are in fact a huge producer of PV inverters. While some say that they are the biggest. At this time we offer their single and three phase models for that are for home use. 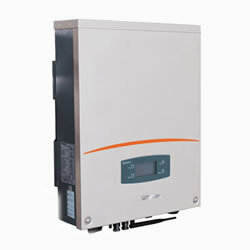 They have a new Sungrow Inverter GEN2, sh5k Hybrid Inverter and more. They have grown a lot here in Aussie over the last few years. This is because they have built up trust with buyers, and have a branch here as well. So after sales support is one of their strong points. SG3K-D/SG5K-D - Sungrow Gen2 - NEW! The new "GEN2" has all the good points of the old series, while it has some nice new stuff too. The SG3K-D to the SG5K-D, come in a cool new silver case, while it still has an LCD screen too. This is good news because some makes have been busy to take their LCD's out. If there is no LCD then it is not as easy to get info about your PV kit. Of course they all have Wi Fi too so you can see the info on your phone or PC. Good warranty as well, its 5 years, but it won’t cost much if you want to add more. The new "GEN2" is here but you can still get one of these. So why go for old when you can get new, you might say? Well, these have been around a while, have a proven record and will cost you less! So there's a few good reasons to check them out. The models in this range run from 3kW to 5kW, while you can barely hear them at 30dB. That’s less noise than a fridge - that's quiet! They are easy to put in, and come with Wi Fi too, so well worth a good look. If you have three phase power at your home, then here is the answer to your PV needs. 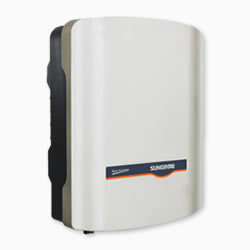 The Sungrow three phase in fact has all the things you need in an inverter. It has dual MPPT so it gets the best out of the sunlight that is there. So as you might know, like all Sungrow products, it has a great out put rate which is 98%. It does not make much noise, that is, the unit itself runs on next to no power.Its such a good design that it doesn't get hot and so it doesn't need a fan to stay cool. It has Wi Fi too so that you can go on line and see what your PV system is doing. This unit lets you hook up more panels in a string with input up to 1000V, so that's a lot! 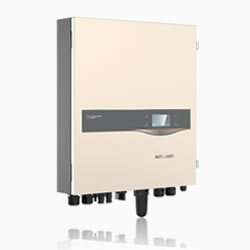 It comes in 5, 6 and 8 kW sizes too, so one of these has to suit your needs. 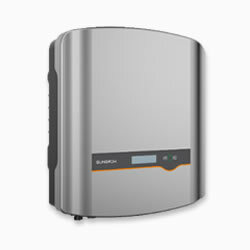 The Sungrow SH5K has been here for a while now, it is in fact a "hybrid inverter". This is great if you want to use it as part of a PV storage set up now or later. But, there are a few things that you will need to work out, though before taking the plunge. In short this unit has HFIBC too. So what is that? When it charges a battery, it does it in a far better way. It has 48V on the battery and also a max charge and discharge of 65A. Due to a great IP 65 design it is great for Off Grid projects too. And then It has a 3000 watt back up on the battery as well to cap it off. What's more, this unit has its own EMS set up too. So to wrap up, it has a DI/DO port for both Li-on and lead acid too. If you want the full tech specs, then just download the data sheet.